Our focus is on China’s demand for resources. We aim to capture the value of our global investments and to build on minor positions to become Primary Strategic Investments which will in time provide us with commodity off-takes to deliver to China via our Commodity Business. 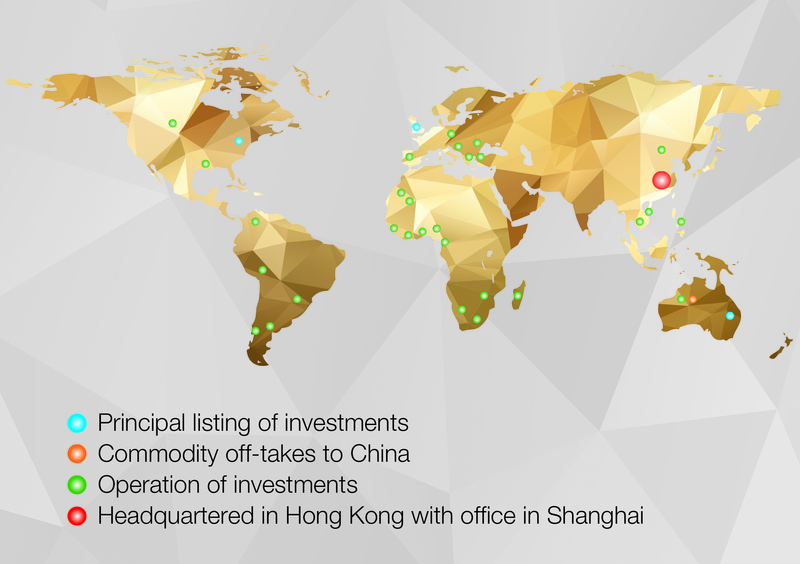 Our resource investment approach and commodity agency platform bring uniqueness and expertise to Hong Kong. APAC’s investment approach is simple. We invest in what we understand and where our expertise lies – natural resources. Our aim is to capture the value curve of mining companies from exploration to production stage. We look at the demand coming from China’s urbanisation and the supply in the market. As long term value investors, we adopt a fundamental and research-driven investment approach to minimise risks. For the benefit of our shareholders, we are committed to managing risks and opportunities. Thus, we diversify our portfolio and commodity range by investing in emerging resource companies globally with minor stakes with a view to grow to Primary Strategic Investments with significantly increased stakes. APAC’s approach to physical commodity trading is risk-averse. We aim to schedule all shipments back-to-back with no inventory. Combined with the market intelligence and proprietary research of our investment team, we have a powerful platform to grow and diversify our Commodity Business.